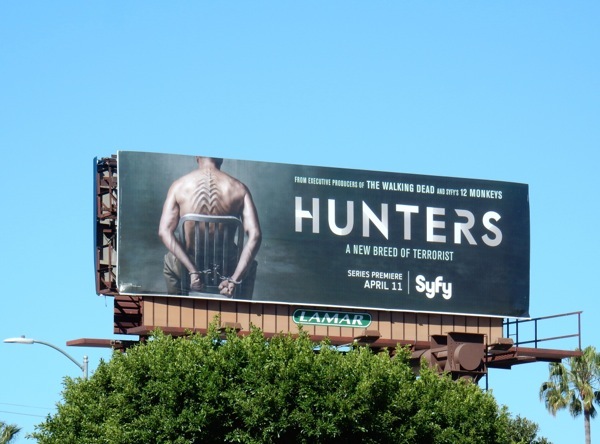 This series launch billboard for Syfy's Hunters certainly puts a new wrinkle on terrorist interrogation. You see these literally are a new breed of terrorists, alien invaders in fact, hence this prisoner's ridged spiney back no doubt. 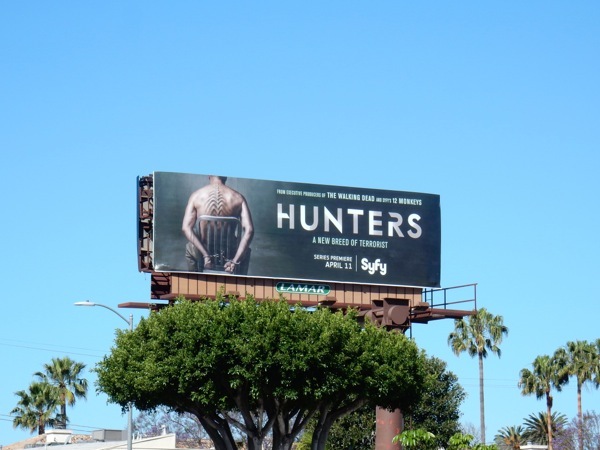 These striking Hunters billboards were snapped along L.A.'s 3rd Street on April 2, then later along Olympic Boulevard on April 16, 2016. 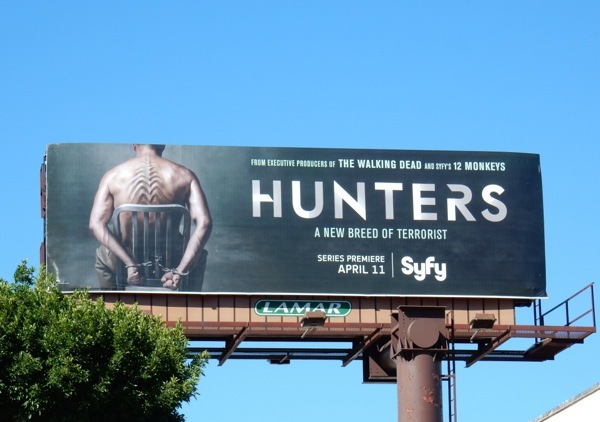 For more hostage-themed billboards, be sure to also check out these American Odyssey billboards and these Hostages billboards. 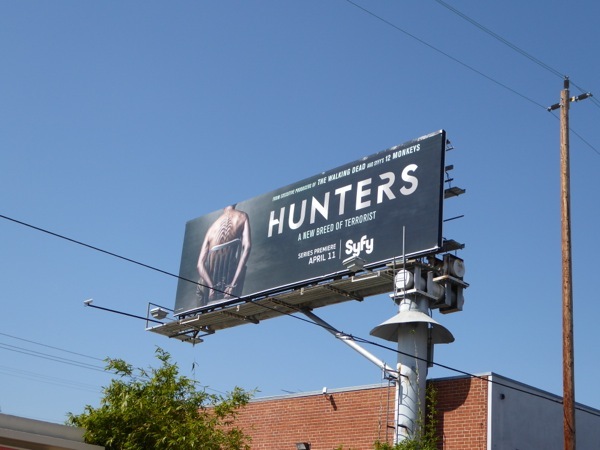 Syfy has enjoyed a string of scripted series successes, including its 12 Monkeys TV series and epic space opera drama, The Expanse, so can this slice of science fiction about a shadowy government agency fighting extraterrestrials that walk amongst us, be their next hit, or a miss.